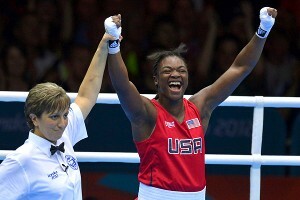 The faces of the women’s Olympic boxing! The faces tell the story. 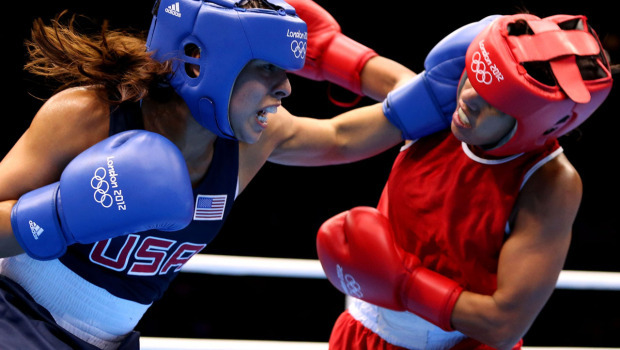 Women’s boxing is going for the Gold! 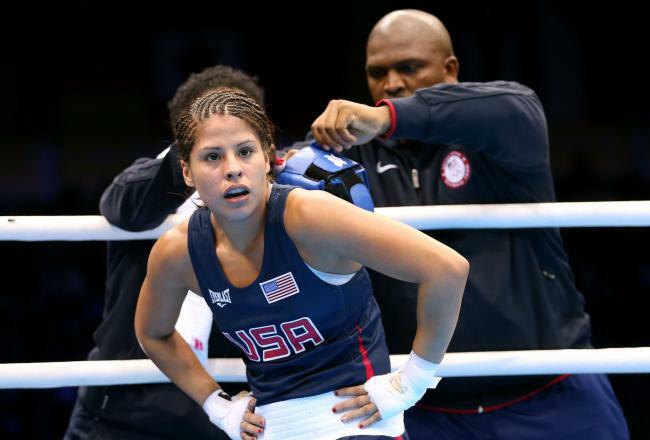 Marlen Esparza, Claressa Shields and the ten other semi-finalists who will be battling it out today have spent years getting to this point. India’s Mary Kom boxed in the first International Boxing Association (AIBA) Women’s World Boxing Championships held in November 2001 at a venue in Scranton, PA. Mary was one of 125 boxers who participated in the championship and won a Silver medal in the 48KG division. She subsequently won Gold in 2002, 2005, 2008 and 2010. China’s Cancan Ren who will face Marlen Esparza in the semifinals is also a Gold medalist having won in 2008, 2010 and 2012. Marlen herself is no stranger to achieving the top spot in her sport having won the USA Boxing national championship five times in her career. 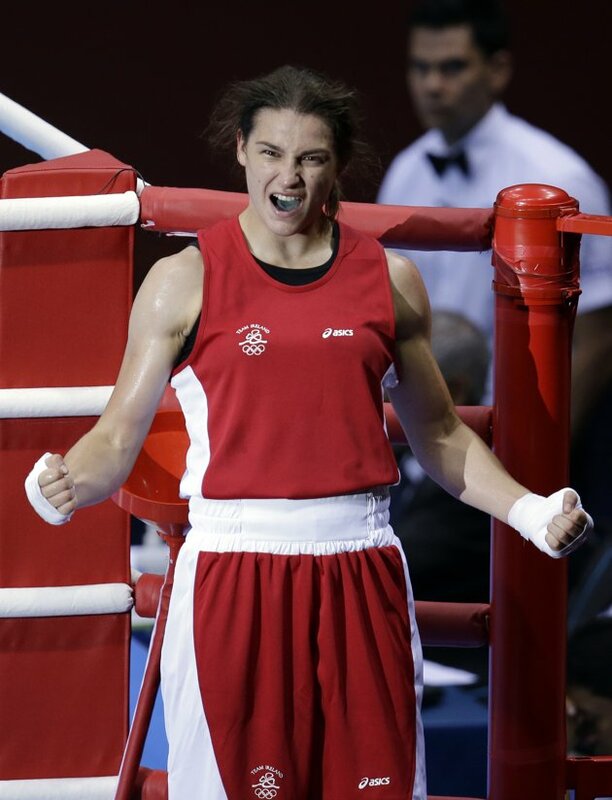 Ireland’s Katie Taylor is considered pound – for – pound about the best that women’s amateur boxing has to offer and if her quarterfinal bout against Natasha Jonas is any indication she is well on her way to Gold in the lightweight division. And not to say that these remarkable athletes are only in it for the Gold, but as competitors they won’t say no to the opportunity to shine. 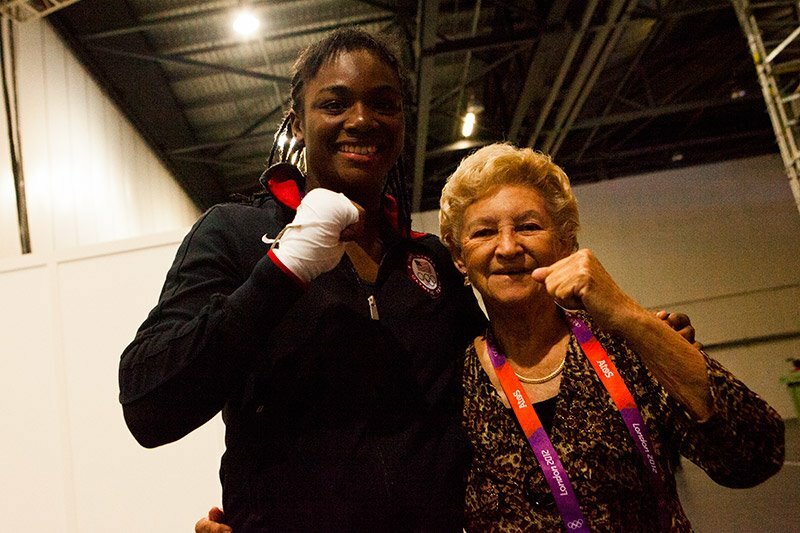 As members of the first class of female boxing Olympians there is, of course, a little something extra to the achievements that their considerable talent, gumption and strong work ethics have given them. Whatever happens they will hit the history books–and why not, they deserve every brilliant accolade coming to them for persevering in a sport that loves to hate them. 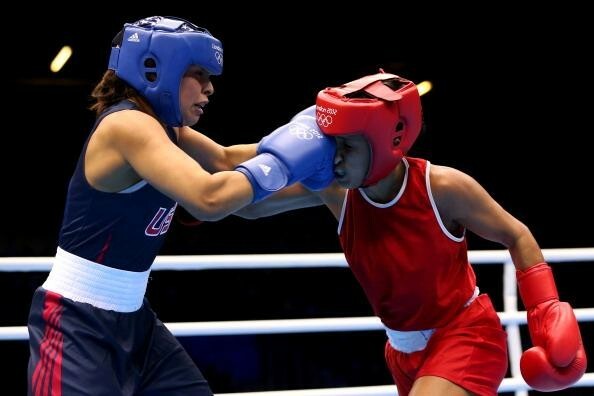 Okay, I give up–I thought that Marlen Esparza and Claressa Shields are fighting today for the chance to win a Bronze, Silver or Gold U.S. boxing medal. 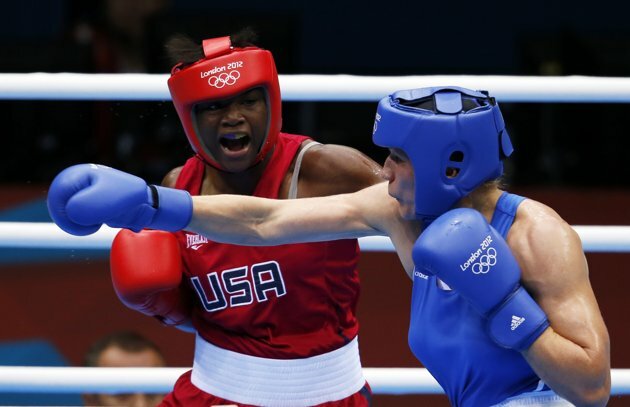 I guess I got that wrong–or is it that ESPN doesn’t consider that Marlen Esparza, Queen Underwood and Claressa Shields were worth noticing as members of the U.S. Olympic boxing team; not to mention consideration for the years and years and years of work and effort they put into becoming Olympians: win or lose. Still Marlen and Claressa will box. They will box alongside the other ten Olympians who have made it to the semifinals and leaving all the doubters and naysayers behind will fight their hearts out for Gold. It will be Gold they can feel proud of as a personal achievement, and yes for a bit of national pride too, no matter that for some of the women who will box for the chance to win Gold, it will be nothing more than an asterisk that’ll sit next to the “no U.S. boxing medal” mindset or equivalent nonsense thereof. 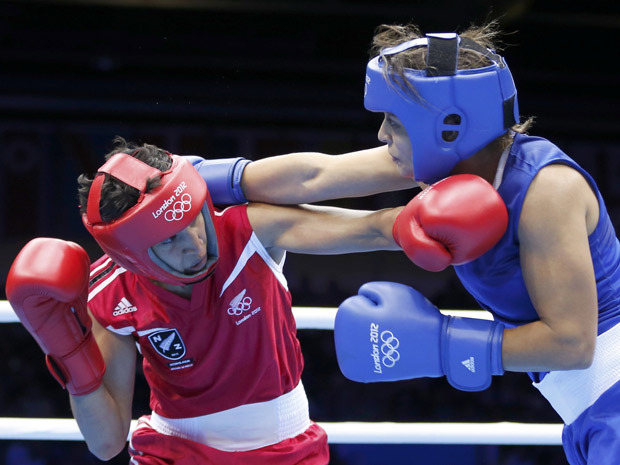 2012 Women’s Olympics Boxing Semi-Finals! Then there were twelve … twelve extraordinary boxers who will begin the medals rounds on Wednesday, August 8th to box for bronze, silver and gold and for their countries! 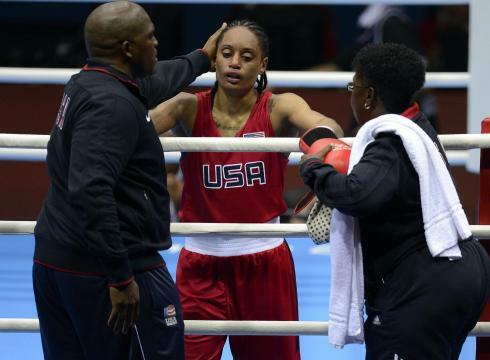 This is pretty heady stuff in the world of women’s boxing! The action begins at 1:30 PM Local Time (8:30 AM EDT) on Wed. August 8th. China’s top seed in the flyweight division Cancan Ren fought a quick and technically smart fight against Russia’s Elena Savelyeva to win her quarterfinal bout by decision with the score 12-7. Her opponent is none other than the USA’s Marlen Esparza, who fought her signature inside/outside game with quick and assured hands to not only take the win against Bulgaria’s Karhla Magiolocco, but to show her dominance of the ring. Esparza took the decision by the decisive score of 24-16. The popular Indian Flyweight Mary Kom (Chungneihang Mery Kom Hmangte), who is a champion many times over won her fight by the score of 15-6 against Tunisian boxer Maroua Rahali. 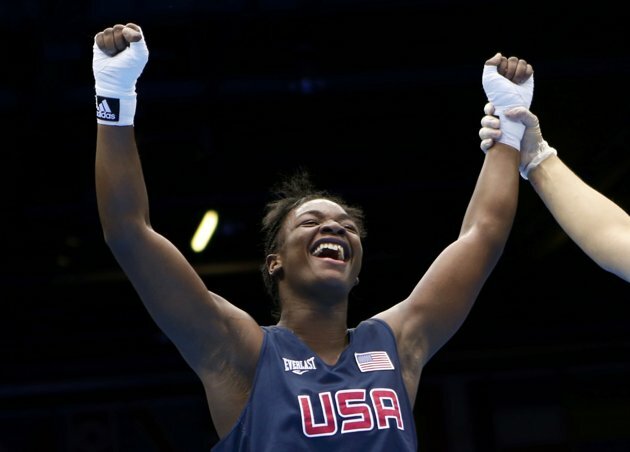 Kom faces the Great Britain’s hometown favorite, Nicola Adams who handily defeated Bulgaria’s Stokya Petrova by decision with the score of 16-7 in the quarterfinals. Ireland’s Katie Taylor, the number one seed in the division, showed boxing brilliance in her match against Britain’s Natasha Jonas. Both fighters gave credance to the idea of calling boxing The Sweet Science. Taylor scored 26-15 by decision after rocking Jonas in both the third and forth rounds. Her opponent will be Mavzuna Chorieva from Tajikistan who won her semi-final berth by defeating China’s Cheng Dong by the score of 13-8. Brazil’s Adriana Araujo had a fairly close win over Morocco’s Mahjouba Oubtil scoring 16-12 by decision. Araujo faces the number two seed, Russia’s Sofya Ochigava who walked through her bout against New Zealand’s Alexis Pritchard by the score of 22-4. 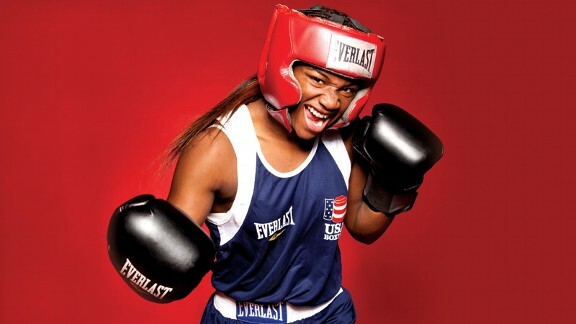 The first semifinal bout will be between the USA’s Claressa Shields and Marina Volnova of Kazakhstan. Shields gained her berth in a tough demanding bout against the much taller and experienced Anna Laurell. Shields toughness and ferocity, however won out as she muscled through her opponents defences to take the fight decisively by the score of 18-14. 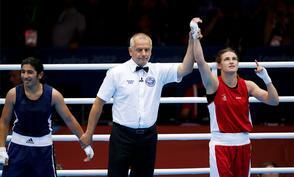 Volnova gained her berth by toppling number one seed Savannah Marshall of Great Britain by decision, 16:12. China’s Li Jinzi defeated Canadian favorite Mary Spencer in the quarterfinal by the score of 17-14. Jinzi will face number two seed Nadezda Torlopova of Russia who overpowered the Nigerian boxer Edith Ogoke 18-8 to take the decision. 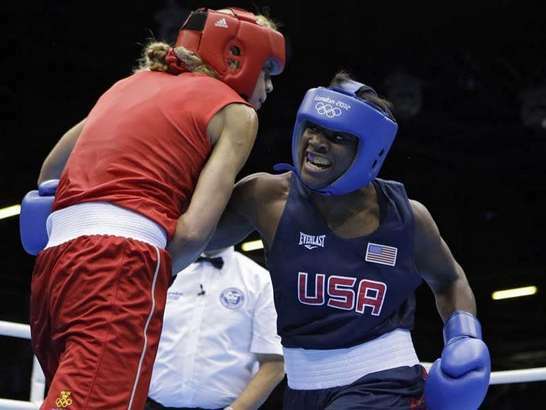 If viewers and boxing fans have questioned the quality of the boxing at the Olympics (especially the USA Boxing men’s program) — the female fighters have proven that where the women’s boxing program is concerned, they came to medal and medal they will. 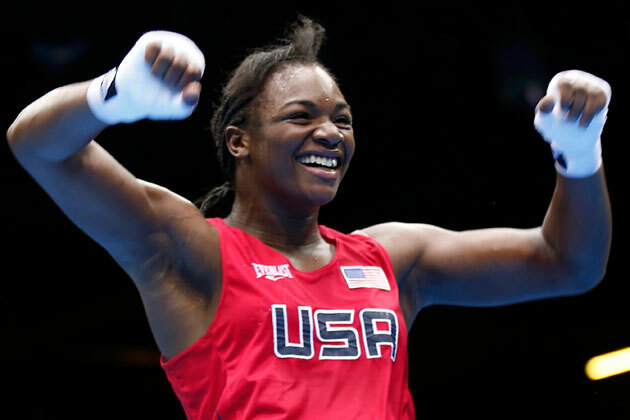 Fighters such as Marlen Esparza and Claressa Shields will come home with nothing less than a bronze, but truth be told it is gold they are after. 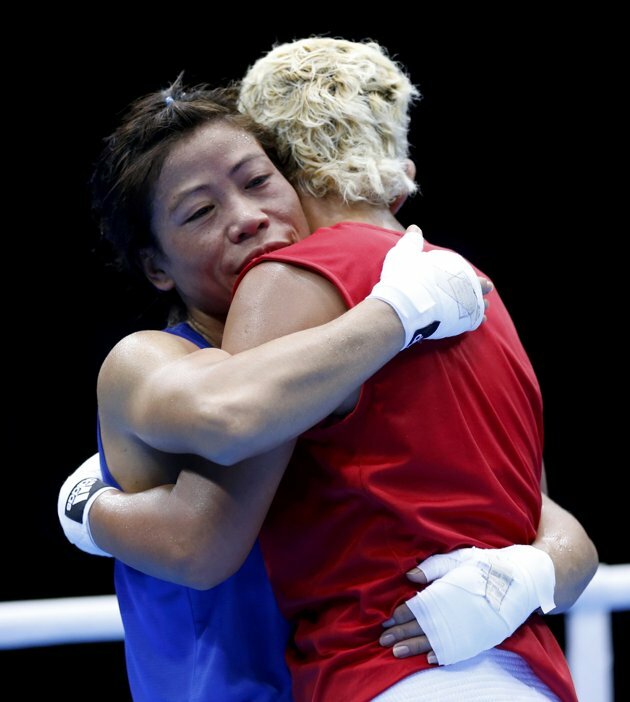 Girlboxing for one couldn’t be prouder or more humbled by the remarkable efforts of the first class of female boxing Olympians who have stepped through the velvet ropes to fight. No matter the outcome they are all true champions who have defied the prevailing winds to prove themselves as true Olympians. 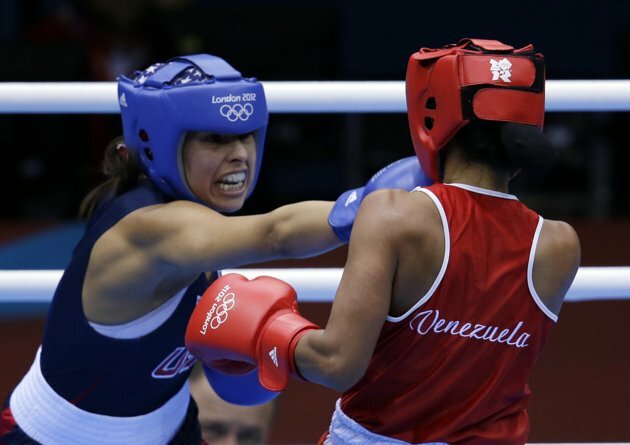 2012 Women’s Olympic Boxing Quarterfinals! Yep, today’s the day. 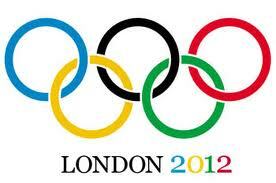 Twelve bouts across three Olympic weights: flyweight, lightweight and middleweight. Action gets underway at the ExCel arena starting at 1:30 PM local time (8:30 ET). First up will be China’s Cancan Ren against Elena Savelyeva who won by decision yesterday over Hye Song Kim 12-9, in the first women’s Olympic bout in history. 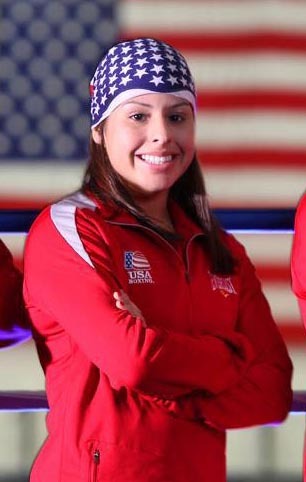 The USA’s medal-hopeful and six-time national champion, Marlen Esparza will fight Karlha Magliocco of Venezuela who won her bout by a 15-14 decision against the Brazilian flyweight Erica Matos. Next up will be India’s great champion Mary Kom who fought a gallant prelim bout against the much larger Polish fighter Karolina Michalczuk taking the decision by a score of 19-14. Kom faces Tunisia’s Marous Rahali who had a BYE yesterday. The last flyweight quarterfinal match will pit Bulgaria’s Stoyka Petrova who proved herself to be a talented competitor in her bout against New Zealand’s Siona Fernandes by taking the decision 23-11 against Great Britain’s Nicola Adams. 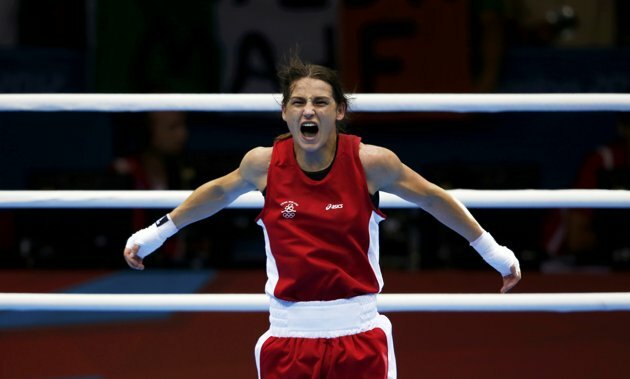 The great Irish fighter Katie Taylor who as the number one seed is favored to win the gold may have had a BYE yesterday, but she will have her hands full when she faces the popular British fighter Natasha Jonas. Jonas defeated the highly popular USA fighter Queen Underwood in a heartbreaker in the prelim round taking the decision 21-13. 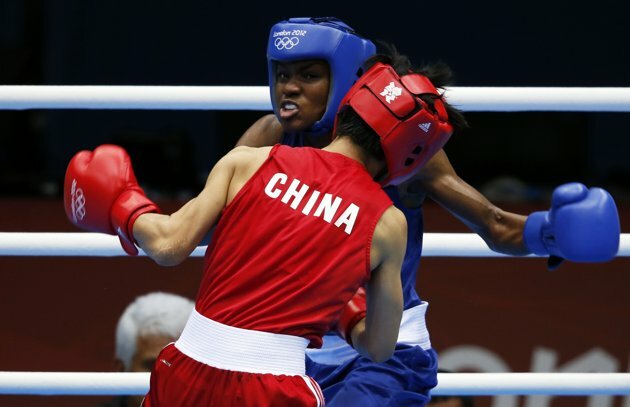 The second fight will pit China’s Cheng Dong who won her quiet bout 10-5 against Mihaela Lacatus of Rumania. 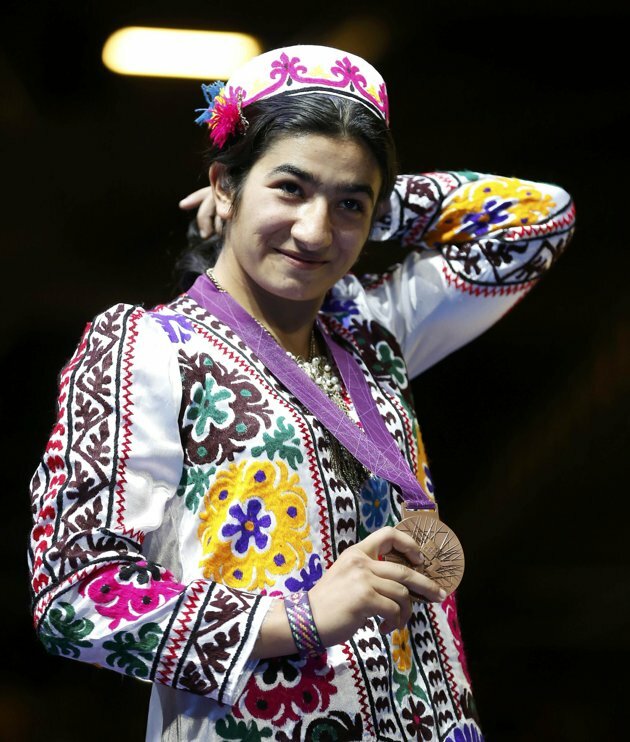 She’ll face Mayzuna Chorieva of Tajekistan who had a BYE in the prelims. The next outing will pit the scrappy Brazilian fighter Adriana Araujo who pulled out her win with fierce forth round action against Khassenova Saida (KAZ) by decision with the score of 16-14 against Mahjouba Oubtil (MAR) who will be making her Olympic debut. The last lightweight bout will pit New Zealand’s popular boxer Alexis Pritchard who took her decision 15-10 against a very scrappy Rim Jouini of Tunisia against Russia’s Sofya Ochigava who sat out yesterday’s prelims with a BYE. Great Britain’s Savannah Marshall, the number one seed in the middleweight division will make her Olympic debut facing Marina Volnova (KAZ) who took her decision 20-11 against Kenya’s great champion Elizabeth Andiego who quite frankly gave it her all in the ring during their preliminary bout–and should have won on heart alone. 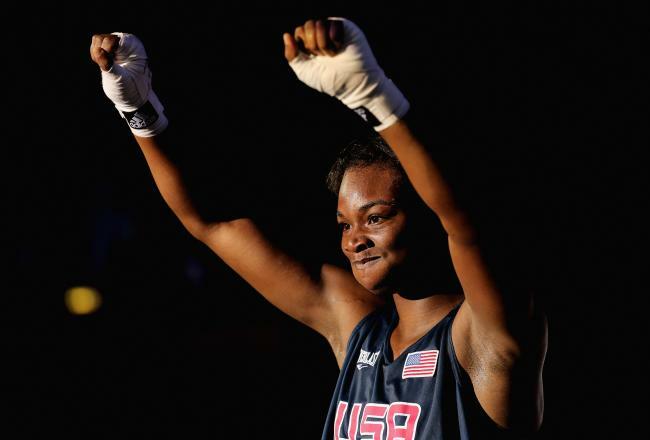 Claressa Shields, the 17-year-old American phenomenon will enter the Olympic boxing ring for the first time against Sweden’s Anna Laurell who fought a tight technical bout against Australia’s Naomi Rasmussen winning the bout with a 24-17 decision. The third bout will see Canada’s best hope for a boxing medal Mary Spencer against China’s Jinzi Li who fought a tough controversal bout against Brazil’s Rosell Feitosa. Li won the bout 19-14, but commentators felt that while she may have won the bout, the fourth round scoring did not accurately reflect action in the fight. The last quarterfinal bout will pit Nigeria’s Edith Ogoke who won a close hard fought bout against Elena Vystropova (AZE) by the score of 14-12. Ogoke is matched against the number two seed, Russia’s Nadezda Torlopova who sat out the prelims with a BYE. Yesterday’s scoring results can be found here. Today’s official bout sheet can be found here. Queen Underwood’s emotional post-fight interview from NBC. 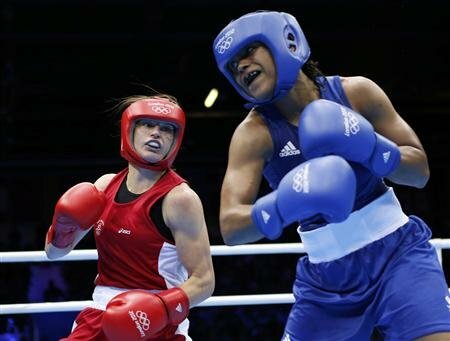 Britain’s BBC has started airing Women’s boxing as a run-up to the debut of the sport in the 2012 Olympics. Broadcasting a fight this past weekend with Britain’s Nicola Adams, a buzz has started to filter through the British press about the viability of the sport as one that is professional and exciting. 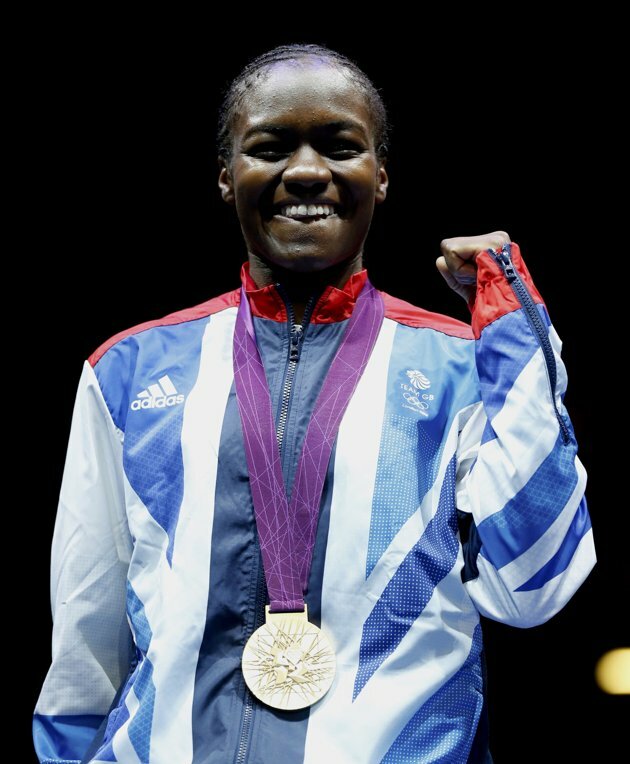 The matches included Amanda Coulson versus Natasha Jonas, and Nicola Adams versus Lyndsey Holdaway. We might all say, well “duh,” but as an acknowledgment of how far Women’s boxing has come since the early 1990’s it is exciting to see. The BBC reported the story here. Meanwhile, The Women’s International Dual Series is starting today in Oxnard, California. In this series, a total of 18 boxers coming from five nations around the world will compete. The event will have nine bouts of exciting boxing per night and its promoters hope that it will continue to elevate the visibility of the sport. Boxing News 24 has a story about it here.